Business in India with FGXpress has an incredible potential to grow very big quickly. The FGXpress warehouse in India offers an outstanding product, the so called PowerStrips™, shipped localy within about two days. PowerStrips™ are an ultra-thin U.S. FDA-listed Class 1 medical device. You pply them on your skin to provide temporary relief of minor aches and pains, to achieve more energy and vitality, or to promote healthy skin. The PowerStrips™ contain a patented fusion of modern energy and ancient herbs. The outer layer contains elemental germanium, and the inner layer consists of a proprietary blend of fermented Korean red ginseng, Alpha3 CMP™ marine phytoplankton, and a petroleum-free, water-soluble adhesive for safe, continuous daily use. Worn daily the PowerStrips™ bring energy to those parts of the body that need it. What do I have to do to start my business with FGXpress? Important: These information are for users of a PC (personal computer), if you use a smartphone (iPhone, Samsung Galaxy etc.) there are differences. We will explain them later. and choose JOIN for joining the company. Here you will see where to klick. … just click on “JOIN”. 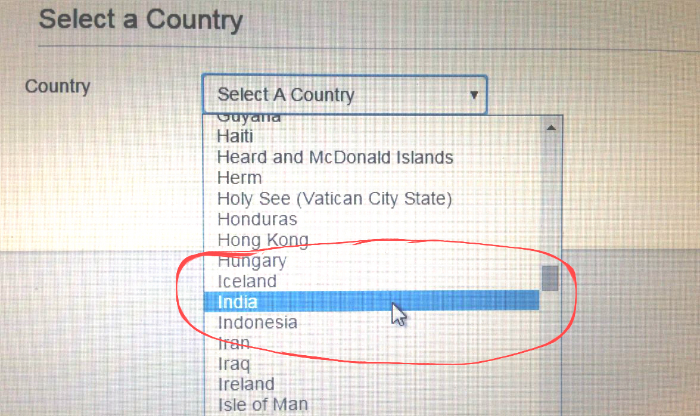 … then select India as YOUR country! 3. Scroll down the page and check the box “I have reviewed and accepted the Policies and Procedures” (we recommend to print out that Policies and Procedures). choose a username and a password (important! please note both, username and password at a place where you will find it later! You need both for your business!) for your WEBOFFICE. The personalized website name and username can easily be the same. Congratulations! 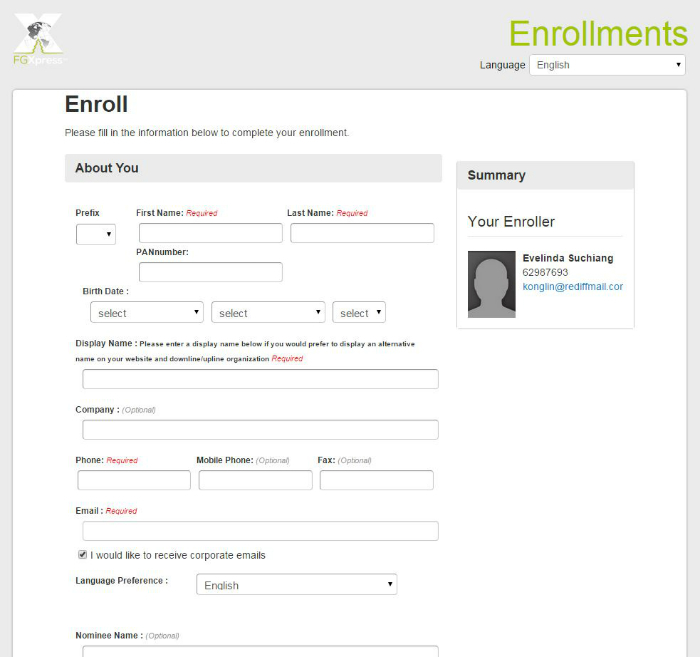 You now have been enrolled as a new ForeverGreen Member in India!!! Please note or write down your personal customer ID. get active and start your business by placing an order. 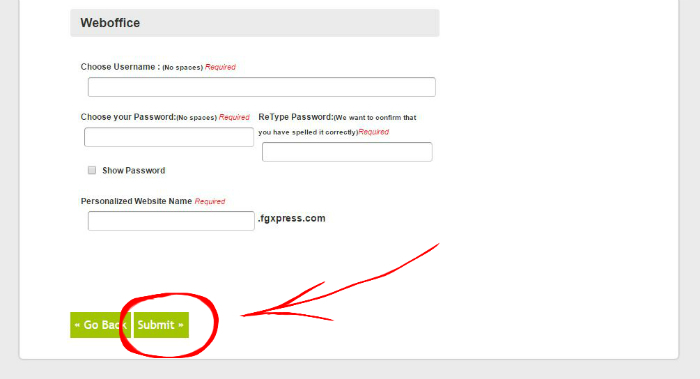 You login to the web office of your personalized website (“your website name”.fgxpress.com) to place an order. Because Indian government regulations prevent credit card transactions online, no payment information is taken at the time you place your order. After placing your order online, you can pay for your order through a local Indian bank account by cash or check. Branch: Drive in Road, Ahmedabad. Gujarat. India. Having done this you will be active and able to enroll new FGXpress members. How do I enroll new members? You may tell the person who also wants to start the business with the FGXpress products your personalized website (“your website name”.fgxpress.com). They just will open this site, choose JOIN like you did and follow the enrollment process as mentioned above and place an order to get active and enroll new members by their own. This will be YOUR business with FGXpress!